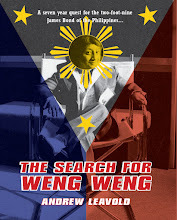 Three groups of young people converge on a Philippines resort in Pagsanjan contaminated with a leaked bacteriological weapon known as "Def One", a military experiment in returning the dead to life. While three soldiers on leave flirt with a busload of models and a couple, Patricia (Beatrice Ring) and Glen, head towards a romantic vacation together, the project's leader Commander Bryant (Mike Monty) orders the entire area to be "contained" and all persons, contaminated or otherwise, to be eliminated, much to the horror of head scientist Dr Holder (the reliable Robert Marius, here with an annoying staccato tic). The virus quickly spreads - from the original infected scientist, to his cremated remains poisoning the birdlife, to zombie seagulls attacking the living... As the troops in gas masks and white contamination suits scorch their way through the dead zone with flame throwers and M16s, soldiers Ken (Deran Sarafian) and Roger (Mattei regular "Richard Raymond"/Ottaviano Dell'Acqua) help Patricia and the surviving models to safety, while a jive-talking radio DJ called Blue Heart (an uncredited Willy Williams) spreads his message of impending ecological doom as a kind of apocalyptic Greek Chorus, only to reveal himself at the film's dour conclusion as the voice of the zombie masses, announcing a Year Zero: "This is now…the New World…and the new cycle has begun!" The troubled Zombi 3 began as Italian horror specialist Lucio Fulci's much-anticipated follow-up to his Zombie Flesh Eaters (aka Zombi 2, 1979), a film almost as iconic in Europe as its model, George Romero's Dawn Of The Dead (aka Zombi, 1978). Its producer Flora Film sent Fulci to the Philippines where production values ensured a bigger look for its modest budget; Fulci was recovering from a stroke and showed little interest in sticking to Claudio Fragasso and wife Rossella Drudi's script, eventually turning in a 70 minute cut. 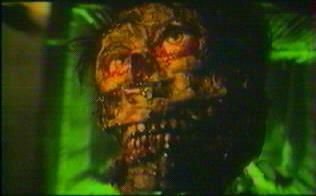 Flora's Franco Gaudenzi instructed Fragasso to cut a further 20 minutes from Fulci's version, then travel to the Philippines to join Bruno Mattei, Fulci's second unit director on Zombi 3 and at the time directing Robowar for Flora, to shoot an additional 40-plus minutes and thus salvage the project. Fragasso intended his and Mattei's footage to be a "film within a film" - much of the contamination squad material is theirs, and has at times an eerie, nightmarish quality, while some of the talking heads are Mattei's second unit. What is left of Fulci's original footage hangs like dried meat off the hastily-assembled framework, and one can only imagine Fulci's final product if he was fully inspired, and had a coherent script to work from. Aesthetically the film is as much of a patchwork disaster as its history suggests. Gone are the baroque touches and gothic surrealism of Fulci's previous undead epics City Of The Living Dead (1980) and The Beyond (1981), replaced with absurd, over-the-top action and tacky second-rate rock video visuals - all harsh green lights, candy cobwebs and poorly-positioned smoke machines. Not that the film doesn't have its share of memorable zombie cinema moments: Carole (Marina Loi from Demons 2) falls into an abandoned house's bubbling swimming pool, only to emerge with both legs eaten and baying for the blood of her soldier companion Bo ("Alex McBride"/Massimo Vanni, star of all eight of Bruno and Claudio's original Filipino batch), while Nancy (Ulli Reinthaler) finds a woman in the infirmary giving birth - to a zombie fetus, who bursts through the woman's torso and tears Nancy's throat out! 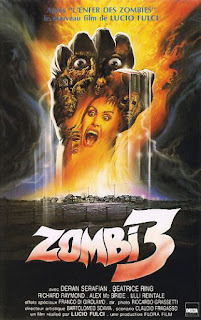 Most notorious of all of Zombi 3's excesses is the scene where one of the models opens the hotel's fridge and unleashes a flying, gnashing, pop-eyed skull (an inimitably original Fulci moment not present in Fragasso's original script). 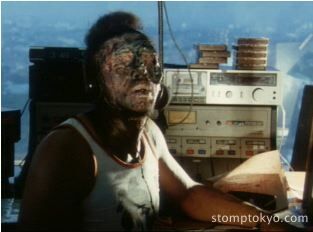 Ultimately, though, the film is a depressing gumbo of borrowed ideas, from the white suits of George Romero's The Crazies (1973), the endless military-vs-scientist debates from Day Of The Dead (1985), and the sprinting zombies and contaminated smoke pouring from a crematorium present in Return Of The Living Dead (1986) - hell, its own soiled internal logic can't work out if the zombies should be fast-moving, or lumbering, Romero-style ones. 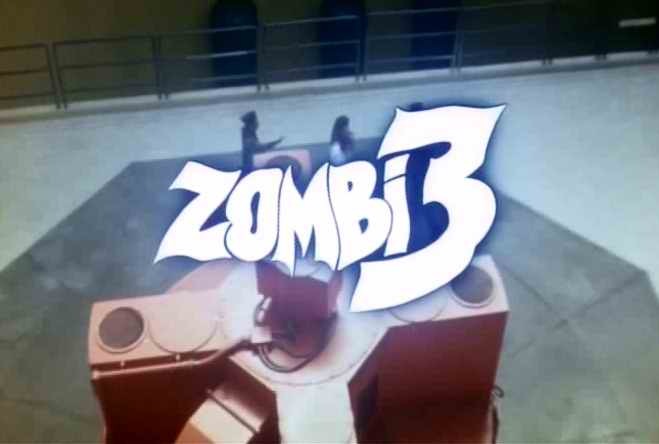 Talk about apocalyptic: Zombi 3 is doomed to sink under the weight of its own failings. The film promises so much, and can only fail to impress. It makes Mattei's own Fulci reworking, Night Of The Zombies (aka Virus/Zombie Creeping Flesh, 1982), look like a masterpiece, and if you're familiar with Mattei's voluminous output, THAT is saying something.